Bonnie Best is a Heart Centered Technology Mentor. 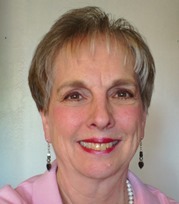 She is has over 40 years experience in education, mediation, and corporate systems analysis and planning. Atomic Energy Canada Limited Esprit de Corp.
She has worked with managers and trainers in the former Soviet Union, Canada and Mexico, teaching them alternative ways to resolve conflicts and manage change. She uses mediation techniques to improve relationships in business. One of her major accomplishments at Pacific Bell was to coordinate interdepartmental efforts to develop their integrated Systems Architecture Plan. She facilitated the reorganization of technical and non-technical staff as part of the migration of the service order processing system to the new architecture. During this transition she helped the groups merge successfully, resolving basic issues and conflicts as they arose. Bonnie loves to work with computers, and teaches people ways to use the computer as a tool for personal and business purposes. She especially enjoys working with individuals in transition. Bonnie was Adjunct Faculty for the College of Professional Studies, University of San Francisco, where she taught "Systems, Technology and Change" in the Master of Human Resources and Organization Development Program. She taught "Integrated Software Solutions" at Heald College of Business in Hayward. She taught "Diversity and Dispute Resolution" for UC Santa Cruz Extension. And she taught "Negotiation Skills" and "Using the Internet" seminars for SkillPath, a National Seminar Company. She received her MA degree in Education from San Francisco State University, and her Secondary Teaching Credential from UC Berkeley. Bonnie believes that every person has a dream, and she loves to help people explore and manifest their dreams for REAL SUCCESS. To live and teach joy, serenity and abundance. To teach people how to be the BEST they can be. To teach excellence in the principles of living. To teach people how to communicate and achieve success. Many people like the daily affirmation I use. I am commited to harmony in life, especially in the areas of health and wealth. I strive for this in my own life, and help others do it in their lives. I am looking for leaders who are ready to join my winning team. I am committed to helping create healthy millionaires. Many people like my daily affirmation.